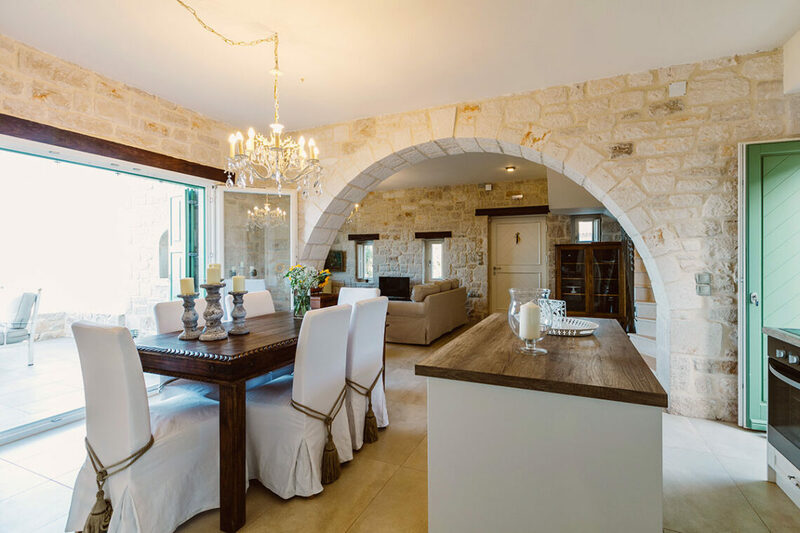 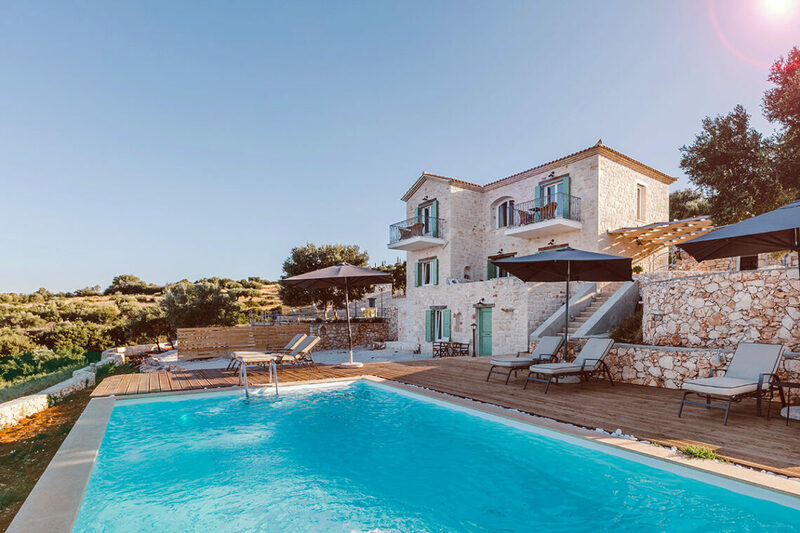 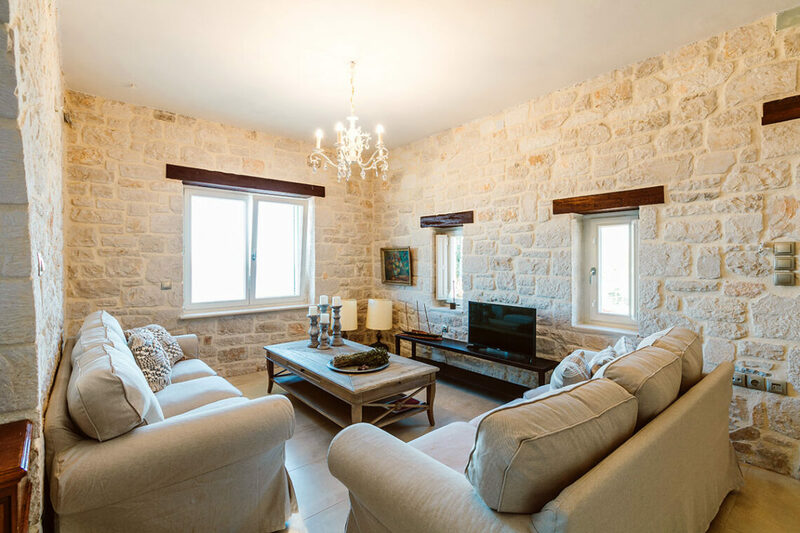 A charming and beautiful new villa, Levandi sits with two sister villas around an old style village courtyard, and is ideal for larger gatherings of friends and family. 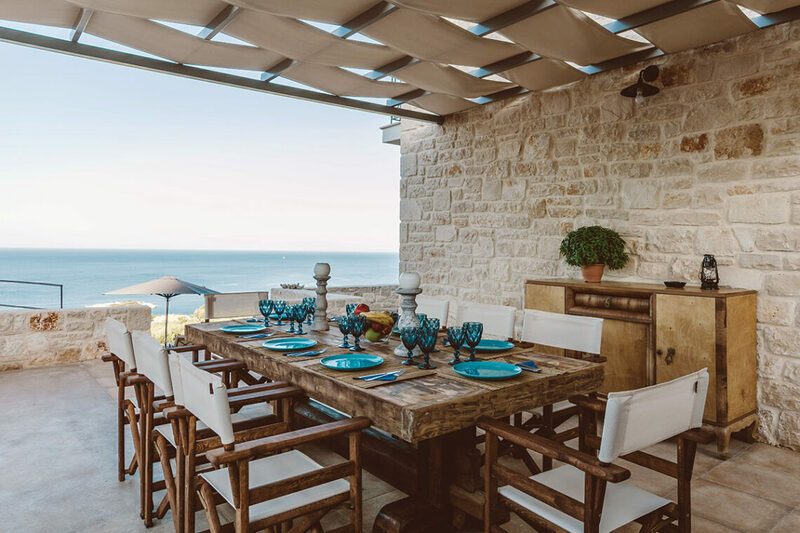 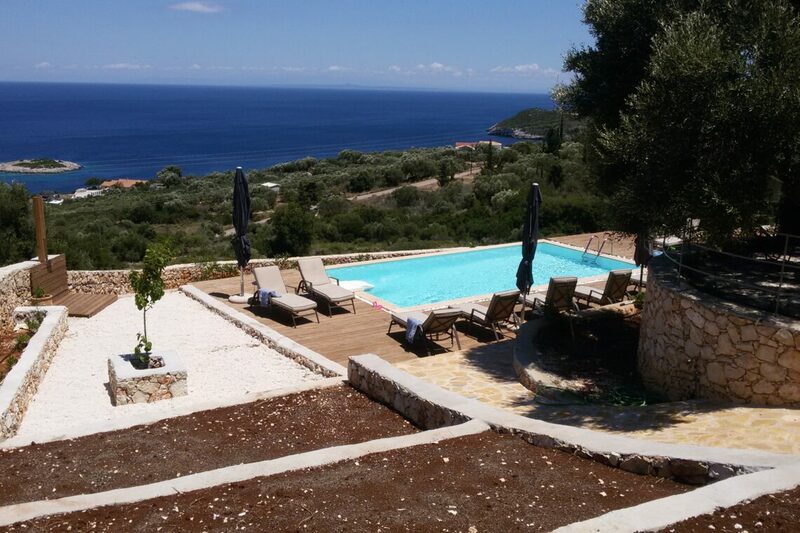 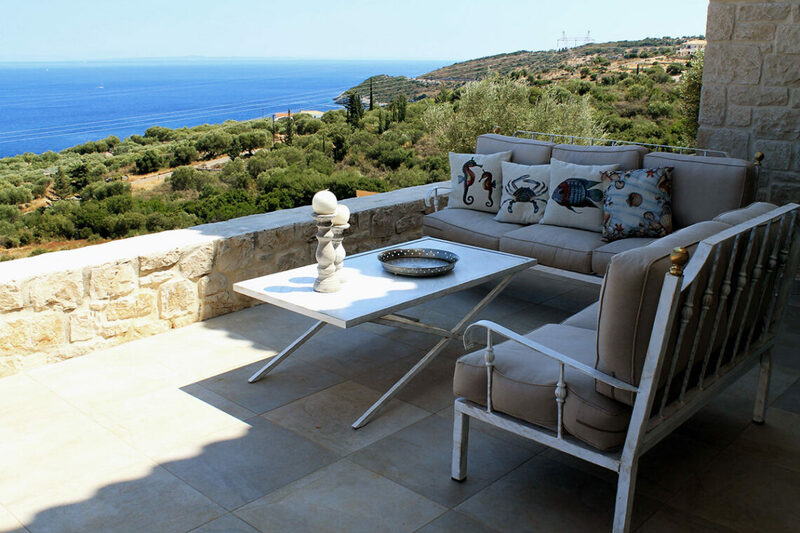 Sitting in the hills just above the coastline, with far reaching views across the Ionian, it’s spacious and stylish. 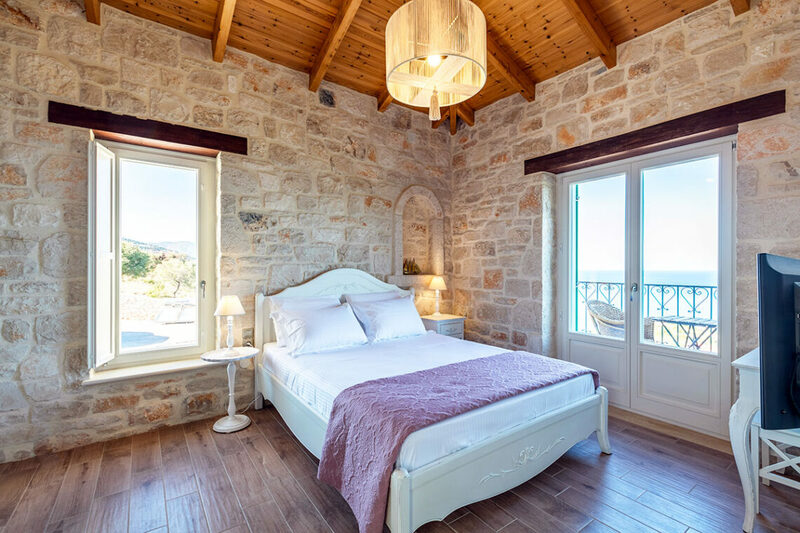 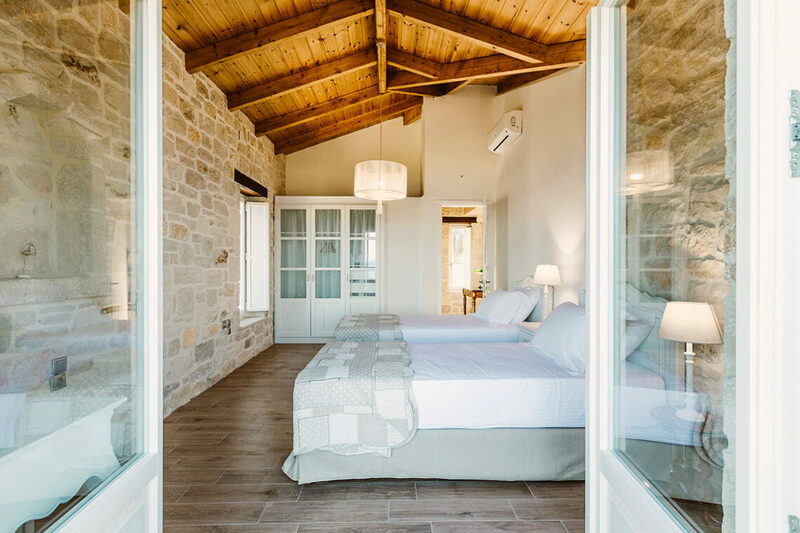 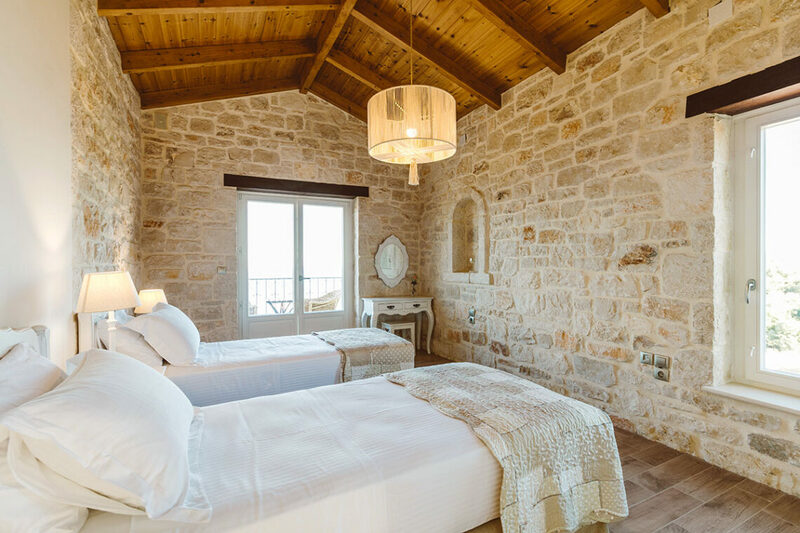 Three of the rooms share bathrooms (which are a great feature in this villa), whilst one of the rooms is an en suite studio with its own entrance. 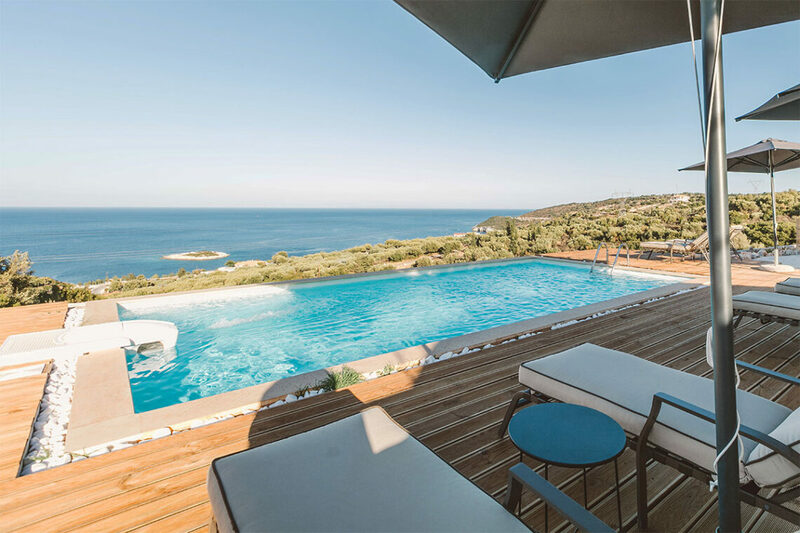 Terraces and little balconies offer lots of spots to sit and relax, and the pool is a good size.